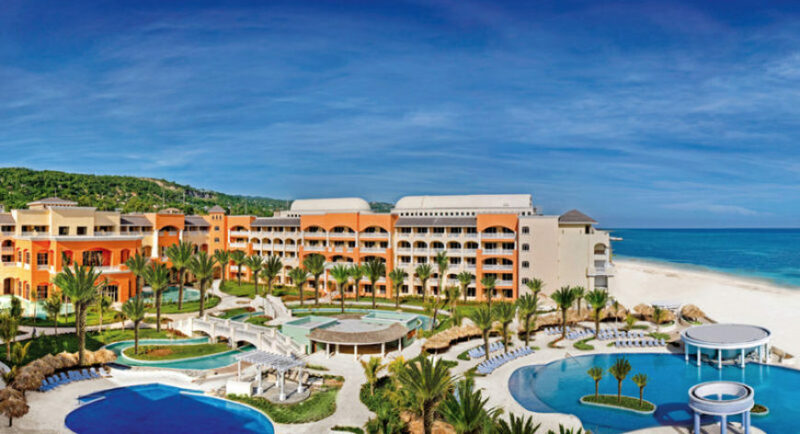 The IBEROSTAR Rose Hall Suites is a 5-star All Inclusive luxury hotel. 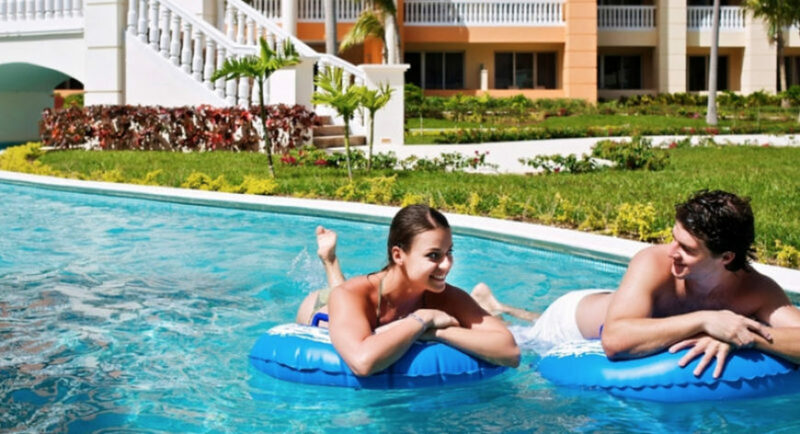 The personalized guest services make this resort a premiere choice for family vacations, romantic getaways or group travel to Jamaica. All guestrooms have been carefully appointed to meet the needs of every traveler. This beachfront hotel boasts spacious rooms with breathtaking sea views. With proximity to the urban area of Rose Hall, guests can experience traditional Jamaican lifestyle and enjoy all the island has to offer. 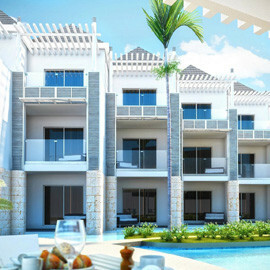 Located on the beach in Montego Bay on the Rose Hall plantation. Spacious suite with 2 double beds or 1 king bed and private balcony with ocean view. A/C, ceiling fan, minibar stocked daily with beer, soft drinks and bottled water. Concierge, nightly turndown service and 24-hr room service. Flat screen TV, alarm clock, DVD and CD player, digital safe, coffee maker, iron and ironing board, hair dryer and bathrobes. 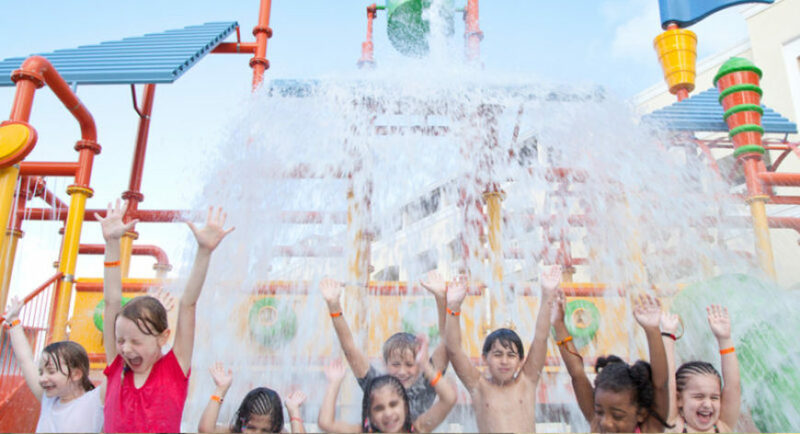 Spacious bathrooms with double vanity sink,Complimentary access to Spa Sensations wet area (adults only),Priority location convenient to beach and pool. Shower and separate tub.Complimentary wifi, Total area is 579 sq. Ft. 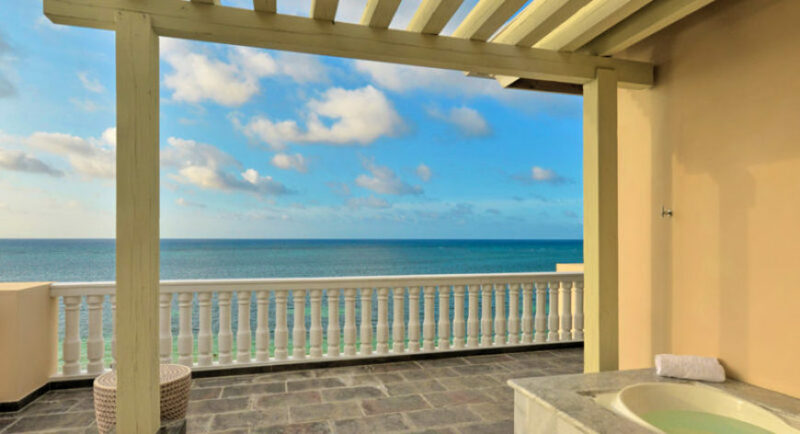 Spacious ocean front suite featuring an oversized bedroom with 1 king bed, a large living room, a separate dining room and kitchenette. Private wrap-around terrace with ocean view, whirlpool and sun loungers. A/C, ceiling fan, customizable minibar stocked daily with premium liquors, beer, soft drinks, bottled water and snacks. Concierge, nightly turndown service with aromatherapy and 24-hr room service. Flat screen TV, alarm clock, docking station, DVD and CD player, digital safe, coffee maker, iron and ironing board and hair dryer. Spacious bathroom with double vanity sink, shower and whirlpool tub, luxurious bath amenities, bathrobes and slippers. Suite can connect to an Ocean Front Junior Suite with 1 king bed at an additional cost. Total area is 2095 sq. Ft. Spacious suite with 1 king bed, second bedroom with 2 double beds and private balcony with ocean view. A/C, ceiling fan, minibar stocked daily with beer, soft drinks and bottled water. Concierge, nightly turndown service and 24-hr room service. Flat screen TV, alarm clock, DVD and CD player, digital safe, coffee maker, iron and ironing board, hair dryer and bathrobes. Shared spacious bathroom with double vanity sink, shower and separate tub. (One bathroom per Family Junior Suite). Complimentary access to Spa Sensations wet area (adults only), Complimentary wifi,Gaming Console,Microwave (upon request), Kids step-up stool for bathroom Total area is 729 sq. Ft.